Information about this please. Also any names you can give. Photo courtesy of Mr G. Watson. Front row, end of row on right, Edna Alderman (nee Norwood), second from right Muriel Wood (nee Norwood). 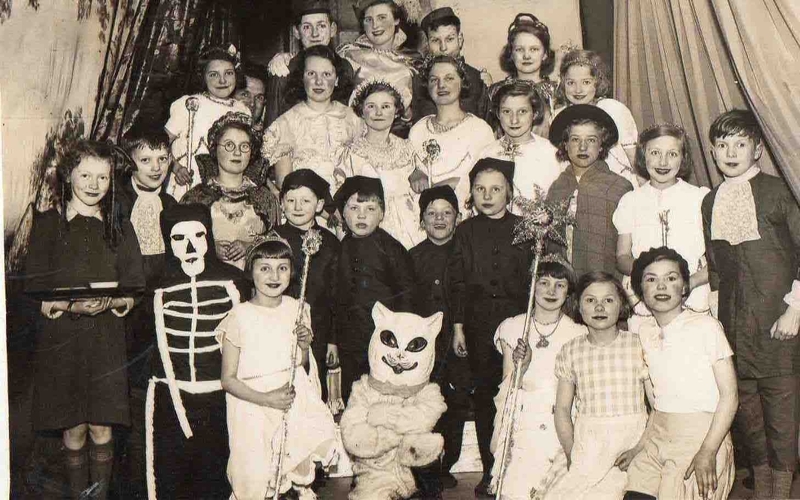 Second row, behind the cat (to the left), Frank Norwood. Event was a play put on by the Sunday School of the Congregational Church, I believe, in the late 1930’s (possibly 1937 or 1938) judging by age of my mum (Muriel Wood). Herbert Taylor is towards the back, partly hidden on left-hand side.